Padmavati protests refuses to die down even after repeated criticism by the film fraternity, which believes that resorting to violence and banning a film is not the solution to resolve an issue in a democratic country. 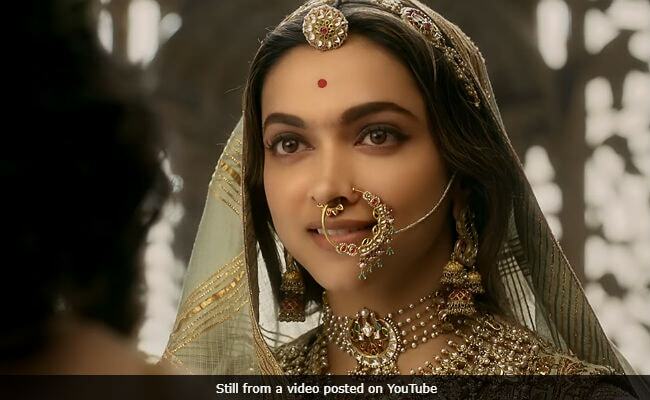 Rajput outfits (one of which is called Karni Sena) claim that Sanjay Leela Bhansali's film distorts historical facts, which demean Rani Padmini. Mr Bhansali was slapped and manhandled by Karni Sena goons while he was filming in Jaipur and now they have extended to death threats for the director and the film's lead actress Deepika Padukone. The Karni Sena has already threatened to cut off her nose and a BJP leader has put a price on her head. Celebrities like Kangana Ranaut, Farhan Akhtar, Swara Bhaskar recently condemned the threats issued against team Padmavati. Kangana Ranaut: "You want to attack an individual or chauvinism, patriarchy or our orthodox thinking? We should attack these things... We have to attack the mindset, and we will do that and we are doing it whether it is through our work, speech or our films. Whatever is happening around us, we all need to stick together. Whether individually or together if we can do (anything) to support our colleagues, we should. Our full support is with our colleagues." Farhan Akhtar: "Banning a film is the answer that any kind of civilized, democratic society should let happen. I feel that unfortunately the audience does not give itself credit and realise the power they have to not go and watch the film. I think it's unfair to impress your view of not wanting to watch a film on somebody else... an especially through the means of violence. People have been making threats on national television and very little action has been taken against it. It's not a very healthy sign." Swara Bhaskar: "It's a case of a controversy which has been constructed and allowed to fester to take this really bizarre dimension. We are reaching a point where the reactions - forget about the film - coming out the leaders, political parties and even the courts is telling where we are headed as a polity and a country. How is it that leaders of the political parties are announcing bounties and threatening murders on news channels? It is the right of an artiste and a director to take creative liberty on the subject they are making. You can discuss it, you can debate it - I'm okay with people within their democratic space in a non-violent, lawful way protesting." Richa Chadha: It's a shame for democracy because on the one hand they are talking about upholding a woman's honour while on the other they want to dishounour a woman by beheading her or chopping off her nose. This is not something which should be encouraged. There are peaceful ways to protest. If you have a problem with a film or its content, so you should go to the court and the CBFC is the final authority in certifying a film. Violent threats are very unbecoming of a democracy and doesn't reflect well on our culture. Hrithik Roshan: "It is a clear indication of our level of evolution. We are still evolving as a society and as individuals. It is a reflection of the fact that we still have a long way to go to evolve into beings, that bereft of these problems and issues of assumptions and attacks. It is not right"
Salman Khan: "I don't think it is fair to hurt anyone's sentiments. It is also not fair to comment on a film without seeing it." Juhi Chawla: "At the end of the day, films are made by directors, by the team (and) you're playing a part. Just for that reason, I'd say a little sensitivity is (needed) and people should have patience. Not flare up and say things like that, that too to a woman." Sonakshi Sinha: "Whatever is happening is not right and it shouldn't happen. In our country, if threats are given openly, it is not a correct thing. I think strict action should be taken against it." Kriti Sanon: "It is very scary to be part of the industry and see something like that is happening. Acting is our job, we are portraying characters which is our job. I will be scared to portray a character in the future where it might offend someone, publicly someone can give me death threat. I think it is something that media also should not be showing so much. If any one goes out there and says that 'I give reward on so and so thing', I don't think media should show it. It is not something to be shown or to be spread. It needs to be taken care of from every end." Varun Dhawan: "Protesting peacefully is fine. It is a democracy and everyone should be allowed to voice their opinion and we should totally respect that. But making a (death) threat should not be allowed in a democracy. And I believe in our judiciary, I am sure they will manage it." Yami Gautam: "It is unacceptable. The way it is going it is really unacceptable. It is shocking, the way it is going. I really hope it comes to some solution and really fast. Because a film is made with lot of hard work. I am sure there are some concerns (of certain people) but it should be watched first and then an opinion should be passed." Kamal Haasan: "I want Ms Deepika's head saved. Respect it more than her body, even more her freedom. Do not deny her that. Many communities have opposed my films. Extremism in any debate is deplorable. Wake up cerebral India. Time to think. We've said enough. Listen Ma Bharat"
Rishi Kapoor: "I feel that (the release of) films in this democracy should not be curbed. My only relevant point which I totally agree with the filmmakers is that please see his film and then pass a comment. Without seeing the film, how can you agitate?" Nana Patekar: "The film is yet to be released and no one knows what is there in the film. I condemn the threats issued against Sanjay and Deepika." Rajkummar Rao: "We should not have preconceived notions about any film before seeing it. We have a government certified body - the CBFC - which is responsible for passing the film." Shabana Azmi: "CBFC sends film back bcoz some paper formalities not complete!!! Only after 63 days, will the film be screened for CBFC when the Gujarat election is over and done with. Are we fools to not see through the design of fomenting unrest and polarising votes? I am very angry"
Shyam Benegal: "I must say the CBFC is behaving very strangely in the matter of Padmavati. If the film didn't carry a disclaimer it could easily be corrected. Why send the film back? Pahlaj Nihalani: "To how many committees is Bhansali answerable? And where does this end? Why is one of India's best filmmakers being made to explain himself over and over again? And why is the CBFC not taking steps to clear the air once and for all." Padmavati is reportedly based on the legend of Rani Padmini, who performed jauhar to evade capture by Alaudin Khilji, who has conquered the fort of Chittor. Ranveer Singh plays Khilji while Shahid plays the role of Maharawal Ratan Singh, Rani Padmini's husband. The release of Padmavati has postponed indefinitely pending Censor Board clearance but sources believe that the makers are now aiming for an early 2018 release.